Verdant Landscape Architecture designed a phased cemetery development area at Maplewood Cemetery in Norwich, Connecticut. In addition to a new roadway circulation plan, grave layout and planting plans were designed. Two variations of the preferred plan were developed to explore planting locations and resulting sizes of open lawn areas. The next phase of work is to develop a cremation scattering garden. The design will mainly focus on providing an accessible path through the steep ravine. 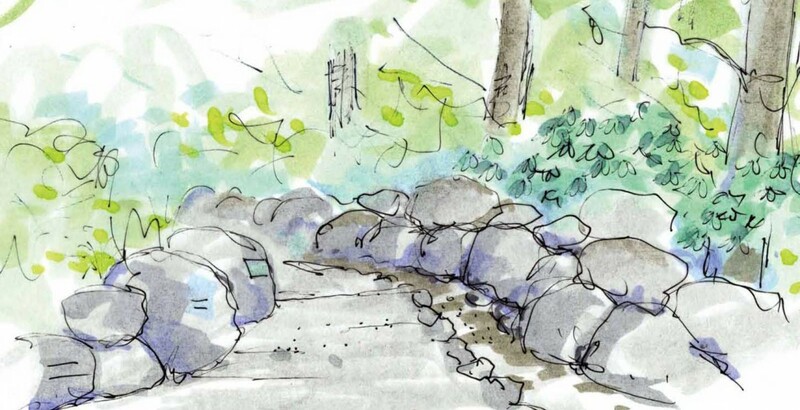 Boulders will provide a naturalistic element to blend the path into the site as well as provide opportunities for inscriptions.